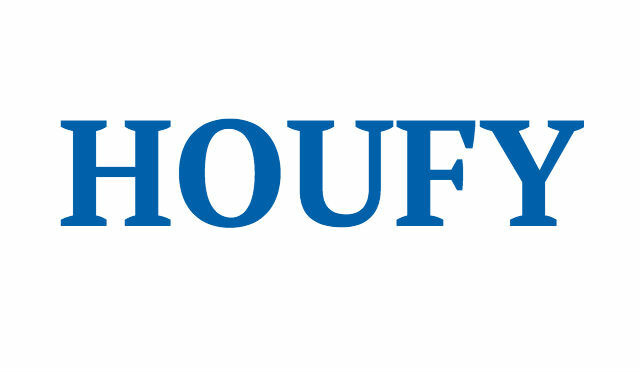 To follow Melodie Pullen, please log in to Houfy or create an account. The Retreat at Champions Gate - Kissimmee, Florida is a new upscale gated resort community located just 12 miles from Walt Disney World. This luxury home sits nestled just outside of Orlando, Florida and will quickly become one of the most desired locations in the Orlando area. During your stay, you will enjoy this well-appointed home that has been designed and decorated to provide you and your family an abundance of luxury amenities and leaves you well equipped to vacation with all the usual items you would expect to find at home. The Retreat at Champions Gate is only a 30-minute drive from the Orlando International Airport and is situated central to all if Orlando’s famous attractions. This spacious 6 bedroom holiday villa can comfortably accommodate a larger family or group of up to 12 people. Located within the resort community, ChampionsGate Golf Club features two premier 18-hole championship golf courses designed by accomplished architect and golfer, Greg Norman. The International Course is designed around scenic natural wetlands and features long carries, deep pot bunkers, tall grass-topped dunes, and large undulating greens. The National Course is designed in the "Florida golf resort" style, featuring naturally rolling central Florida plains, spring fed lakes, bunker protected fairways and greens, and small, challenging putting surfaces. Our homes are all equipped with keyless entry systems. You will receive a door code in your reservation confirmation. You will not need to meet anyone, just go directly to your home and access it with your code. Check in and check out times are not flexible as we need the time to prepare the homes for our next guests. Guests must park in the driveway. Roadside parking or parking on the grass is prohibited. Any fees incurred from tickets or towing expenses are the sole responsibility of the guest. RVs, campers and the like are prohibited from parking in the driveway and any in the area of the resort community. Provisions for off-site parking must be made in advance and is the responsibility of the guest. Pool heat is optional and an additional $30 plus tax per night. The Spa is not a hot tub and is heated to the same temperature as the pool if heat is added. We are pleased to offer complimentary wireless internet service to our guests. Please refer to the information in the home for specific login instructions. If you have difficulties accessing the Internet, please contact us during regular business hours. We cannot guarantee service to always be active and compatible with every device as this is a third party service through the local cable provider. It is encouraged to also bring personal service providers such as mobile hotspots/WIFI devices in the event challenges occur with accessibility. No compensation is available for lack of wireless internet service. – Years of happy guests! Check out our Guest Reviews. – Prompt and friendly customer service. – Online photos are exact photos of your vacation property. – Keyless entry allows you to check in directly at your vacation property. – On-site management for your vacation experience and satisfaction. – Well-maintained, clean homes in safe communities. Many are brand new! – All of our properties are smoke-free and pet-free. – Great locations that are close to Disney World, grocery stores, pharmacies, golf, etc. – Beautiful, cozy cottages in the Panhandle. Just a short walk to the beach and local shops! I know you and your guests will be very happy if you decide to rent one of our properties. Our ultimate goal is customer satisfaction. Please contact us to Head for Orlando (or the beach) today! The lead guest on the reservation must be 25 or older and be staying in the home for the entire stay. The COMPLETE TOTAL must be paid when you reserve the home online and ONLY with credit card​ ​(Visa/MasterCard ONLY accepted)​.​​Credit is charged an additional 4% booking fee (included in the prices quoted above). Check and money orders are NOT ACCEPTED for stays within 35 days. There is a $200 NONREFUNDABLE DEPOSIT due when you reserve the home online and it is applied toward the total. The remaining BALANCE is due 35 days prior to arrival and you can make payments up until that date. Check and money orders are only accepted from US banks and must be in US dollars. The deposit is due within 14 days after making the reservation. Instructions will be in your confirmation email. The remainder is due on the date noted above. Please be sure you select the appropriate shipping method (overnight, 2 day delivery, etc.) to guarantee your payment arrives on time. Credit card (we ONLY accept Visa/MasterCard) and credit card payments are charged an additional 4% booking fee (NOT included in the prices quoted above for stays over 35 days to check in). The deposit is charged immediately when you make your reservation. The remainder will be automatically charged to the card on file on the date noted above. Read our Terms and Conditions, including our cancellation policy. Because of our strict cancellation policy, you may want to purchase travel insurance through www.insuremytrip.com. If you find major damages upon arrival, please report this to us. It is not necessary to report normal wear and tear. If you damage something on the property, please contact us so we can assess the damage and promptly repair/replace the damaged item. Please note the individual owner of the property can pursue legal action for damages that occur in the home should it exceed the amount of deposit secured. Therefore, please be proactive and report any accidents or damages accordingly. If you cancel outside of 35 days before arrival then there is a $200 administration fee. If you cancel within 35 days before arrival then your stay is non-refundable. *Do not have more guests at the property than the property accommodates (includes friends & family visiting only). *Lead guest must be 25 years of age and staying in the home for the entire stay. No pets allowed unless service animal (must be approved BEFORE arrival). *No smoking or underage drinking; no noise disturbances. *You will be charged for careless action and known damage occurred during the stay. *Pool heat is an additional $30/day +tax.